We are the largest suppliers of wedding invitations, anniversary invitation cards, bridal shower invitation card printing, and baby shower invitation cards printing. There are several options available regarding wedding invitation cards printing. 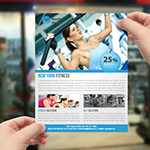 Our invitation cards printing company offers discount party invitation card printing to our local customers. 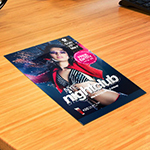 Also we provide Flat Invitation Card Printing at low cost. The invitation cards printing is available in 12pt or 14pt card stock paper. Impress your guests with high quality wedding invitation cards. Once the guests receive such a good quality invitation cards they will start thinking about having the best party. Order our bridal shower invitation card or full color reception invitation card printing. Business invitation cards are the invites, sent to the clients to invite them to any occasion hosted by the company. We also offer Greeting Card Printing for holidays at affordable prices. Order our invitation cards printing for corporate events. Business is the constructed way of managing people to organize as well as keep up collective productivity toward achieving the set goal while generating profit. Uses all four print colors: cyan, magenta, yellow, and black to blend together for a full-color print, front and back. 14 pt uncoated cover is also known as cover stock, or cover for short. Heavyweight papers are called card stocks. The thickness of card stock is measured with point sizes such as 14pt and 16pt or with pounds (lp) such as 110lb, 120lb and 130lb. Invitation Card Printing for any size business can benefit you with 4-color offset integrity. Greeting/invitation card printing is available at incredible prices now - and always - at Printing Xpert, where we personally oversee each aspect of your custom order. Invitation/greeting cards are a great way to reach out to people that matter to you and your business. A greeting card is more personal than a postcard, more memorable than a letter, and more likely to be kept and shown to others. Sending greeting cards is a proven way to re-connect with your customers. To create an effective greeting card campaign, set up a calendar and send out cards on a regular basis for key events. Be sure to plan ahead for your greeting card printing project and order enough cards to last you through your customer-base and mailing for the year. A classic design or photo, one that is not specific to a holiday or theme, allows you to use the cards for almost any occasion. Plus, you'll save money by ordering more at one time to lower the cost per card. 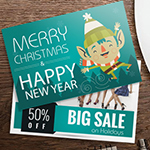 Customize your holiday card design with unique images, uncommon sizes, and special features such as die-cuts. Our Invitation card printing company service is nationwide, and in all states Alabama AL, Alaska AK, Arizona AZ,Arkansas AR, California CA, Colorado CO, Connecticut CT, Delaware DE, Florida FL, Georgia GA, Hawaii HI, Idaho ID, Illinois IL, Indiana IN, Iowa IA, Kansas KS, Kentucky KY, Louisiana LA, Maine ME, Maryland MD, Massachusetts MA, Michigan MI, Minnesota MN, Mississippi MS, business card printer Missouri MO, Montana MT, Nebraska NE, Nevada NV, New Hampshire NH, New Jersey NJ, New Mexico NM, New York NY, North Carolina NC, North Dakota ND, Ohio OH, Oklahoma OK, Oregon OR, Pennsylvania PA, Rhode Island RI, South Carolina SC, South Dakota SD, Tennessee TN, Texas TX, Utah UT, Vermont VT, Virginia VA, Washington WA, West Virginia WV, Wisconsin WI and Wyoming WY. they were amazed by the quality and designing of the cards. 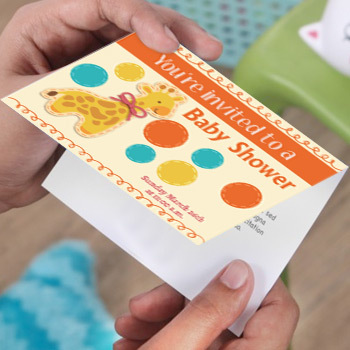 baby shower and i found it at printingxpert. you guys are best thanks ! My wedding invitation cards are awesome! everything is available at printingxpert!! Thank you guys for my invitation cards. Product: Invitation Cards, 4.25x6" X 5x7"